For day 2 I am featuring the fantastic UK indie brand Danglefoot Nail Polish, as I am sure by now you know I am a huge fan of Hayley's polishes. The formula is always so great to work with and she comes up with some gorgeous colours and collections. My most recent Danglefoot haul was a grab bag of 4 random polishes, inside was this beauty called 'Snow Falling'. 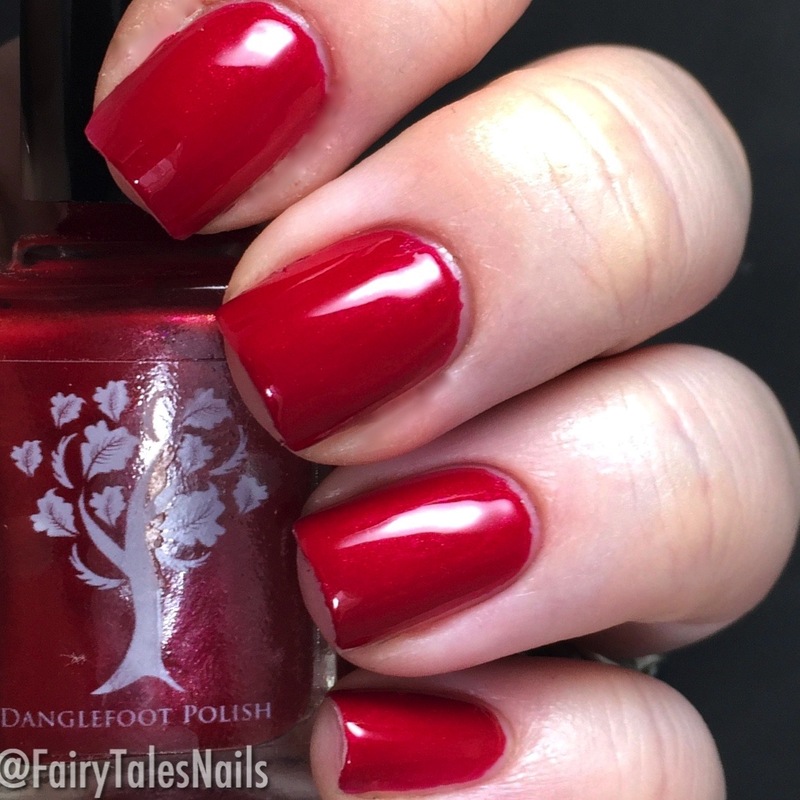 This is a gorgeous bright red creme with pink shimmer, fully opaque in 2 coats and lovely to apply. 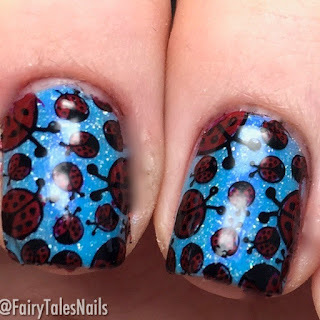 This gorgeous polish worked perfectly for my Springy Ladybird nails. For my pointer and middle nail I used 'Moonriver' which came in the Spring Fling indie box from last year. 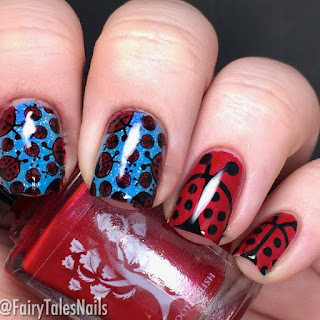 This polish is another gorgeous polish and applies really nicely. To create my ladybird nails I used Moyou London Princess plate 10, I stamped directly onto my ring and pinkie with the cute ladybird image. I then stamped the image with lots of ladybirds and coloured them in before applying to my pointer and middle nail. These definitely made me feel those Spring vibes and as always the Danglefoot polishes were really lovely to work with. 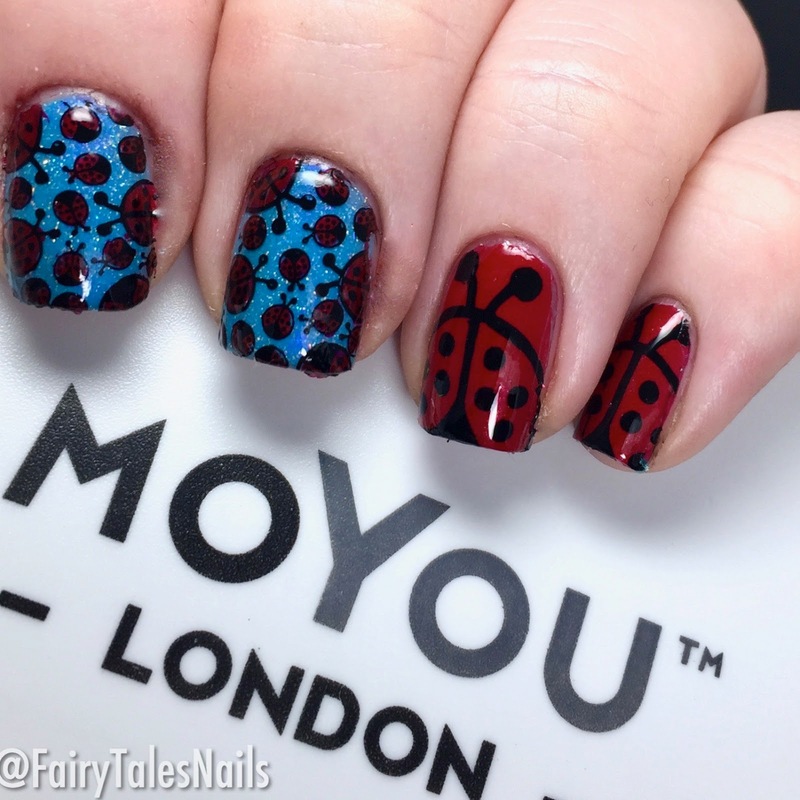 Please make sure you go check out all the other lovely ladies mani's in the In-linkz down below. I hope you enjoyed day 2's post and I will see you back here again tomorrow with another UK indie.